A revamped Art Deco movie theater on Long Island is basking in the glow of an award for its historic preservation. The Suffolk Theater, built in 1933, is being honored by the New York State Department of Parks, Recreation and Historic Preservation. 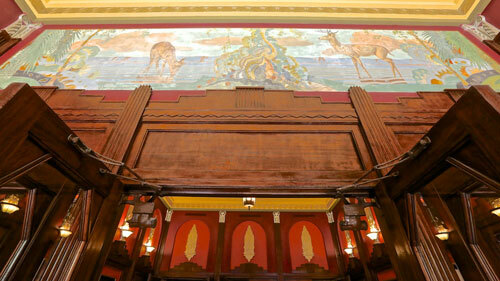 The Suffolk Theater in Riverhead, NY, listed on the National Register of Historic Places, will be honored by the New York State Department of Parks, Recreation and Historic Preservation for its 2013 restoration. 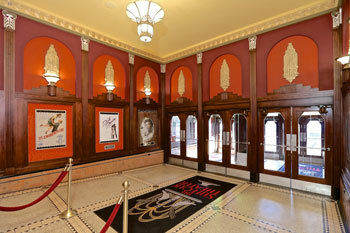 The privately funded restoration program transformed the movie house in Riverhead, NY, into a performing arts center. The effort was directed by Bob and Dianne Castaldi, of Castle Restoration and Construction Inc. The restoration included identifying historic paint colors and reconstructing decaying walls, according to project details. “We are gratified that so many years of hard work are being recognized by the state,” said Bob Castaldi. The historic theater re-opened in 2013 after a 26-year hiatus. The venue, noted for its intricate architectural design, detailed carpentry and luxurious spaces, had been shuttered since 1987. Designed by Canadian-born architect R. Thomas Short, the theater was built as part of President Franklin Roosevelt’s National Recovery Act program to bring the country out of the Great Depression. The theater was built in 1933 for the Century Theater circuit chain under the National Recovery Act. The theater is the last remaining large Art Deco-style theater on Long Island. A term derived from “Exposition des Arts Decoratifs et Industriels,” a Paris design fair held in 1925, Art Deco heavily influenced design, architecture and other decorative arts from the late 1920s through the 1940s. The Castaldis purchased the theater in 2005 and spent five years restoring it. The process involved painstaking attention to both interior and exterior elements, including movie posters in the lobby; wall fabrics; plaster capitals; a water fountain; and delicate light and stained-glass fixtures. The five-year restoration project included delicate light and stained-glass fixtures. Many functional aspects of the building were also remodeled to meet the needs of a contemporary audience, including convertible seating to allow for a variety of seating styles. The venue can now accommodate more than 700 patrons. A new HVAC system featuring radiant floor heating was installed. Sound and lighting upgrades were integrated into the restoration. Headliner names now light up a high-tech LED marquee. 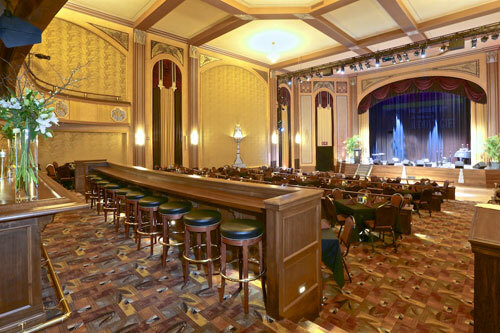 Now, the gem serves Riverhead as a beacon of entertainment, hosting plays, musical theater, concerts and comedy shows. Many functional aspects of the facility were remodeled to meet the needs of a contemporary audience, including convertible seating. A long bar was also added at the rear of the theater. The Castaldis offer a look into the theater project in this YouTube video. The couple has also worked on the restoration of other local Art Deco landmarks, including the Empire State Building and Rockefeller Center. 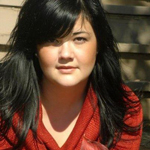 The preservation award will be presented Dec. 4 to the Castaldis during a ceremony in Albany. Other honored projects include the Kings Theater restoration in Brooklyn and the Academy Lofts in Albany.